You know that among human beings, when they get together in a family, or a club, or a trades union, people talk about the ‘spirit’ of that family, or club, or trades union. They talk about its ‘spirit’ because the individual members, when they’re together, do really develop particular ways of talking and behaving which they wouldn’t have if they were apart … It is as if a sort of communal personality came into existence. Of course it isn’t a real person: it is only like a person. The Teachers Service Team has recently both celebrated and lamented the communal personality that has come into existence among our team members. We celebrated a deeper fellowship that flows from both the unity of the Spirit and our common charge to serve our churches. While we have long shared interests and responsibilities, it is only recently that we have come together in a discernible spirit of unity. This unity has already begun to produce good, helpful fruit. There are exciting developments that we are eager to announce and share in this paper. 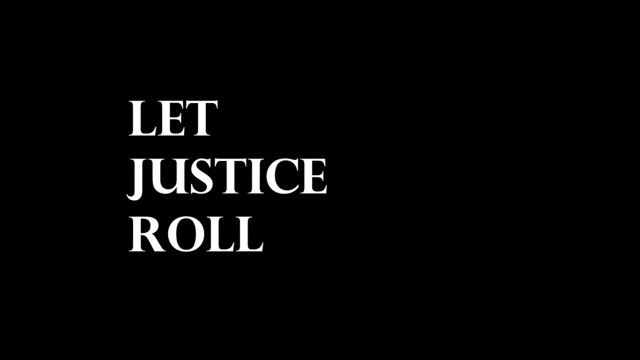 But before we do, we first wish to share our cause for lament. We recognize and therefore apologize for our corporate behavior in recent years. As teachers, we are held to strict standards (James 3:1). Despite being in the best position to help hold one another to these standards, we teachers have failed to do so through neglect and cowardice. We teachers have not held one another accountable, and we have not operated as a healthy corporate entity. Moreover, we have failed our elders and evangelists by leaving them to fill the watch that we vacated. As a result, we strained the relationships between teachers and other ministers throughout our fellowship of churches. When any corporate entity sins, Jesus requires godly sorrow and repentance. Each of us teachers serving on the service team has looked at his respective responsibility for our corporate dysfunction. With earnestness and eagerness, we are ready to repent and prove our repentance by our deeds. This paper outlines those deeds. Repentance brings times of refreshing and renewal. And so it is with refreshed and renewed spirits that we teachers now seek to better serve our brothers and sisters throughout the International Churches of Christ. Please forgive our sin. And please consider our plans to prove our repentance by our deeds. After providing a brief historical context for the role of teacher, we will discuss both the basic qualifications and the evaluation process for teachers. Prior to the exile, the Word of God was transmitted in Israel through priests and Levites, through prophets, and through the heads of families. During the exile and intertestamental period, classes of dedicated teachers developed in Judaism: the teachers of the law, the scribes, who were laymen devoted to instructing their countrymen in the law of God. They often looked to Ezra as a model (see Ezra 7:6 and 10), and their influence was widespread in the time of Jesus. During Jesus’ earthly ministry, he said much about the character of humility and service that are the distinguishing marks of true spiritual leadership, but he said little about the ongoing leadership structures of the future communities of his disciples. He simply assured his apostles that they would be guided by the Holy Spirit to lead them into all truth (John 14:16–18, 26; 15:26–27; 16:12–15). The biblical record indicates that leadership forms in the early decades of the church took shape gradually, with variations developing over time and from place to place. In Acts 13:1 it says: “Now there were at Antioch, in the church that was there, prophets and teachers…” The word “teacher” in Greek is διδάσκαλος [didáskalos], from didáskō (to teach). In the classical Greek it means “instructor” or “teacher,” as a “schoolmaster” or “chorus master.” It includes in its meaning the teaching of skills, development of aptitudes, and the teaching of systematic instruction. In the New Testament this term was used to indicate one who teaches or expounds the will and Word of God. Prophets and teachers were the primary types of leaders serving in the church at Antioch, Saul and Barnabas being listed in this group. Paul affirms in 2 Timothy 1:11, “for which I was appointed a preacher and an apostle and a teacher” (nasb). Since we have gifts that differ according to the grace given to us, each of us is to exercise them accordingly: if prophecy, according to the proportion of his faith; if service, in his serving; or he who teaches, in his teaching (Romans 12:6-7, nasb). And God has appointed in the church, first apostles, second prophets, third teachers, then miracles, then gifts of healings, helps, administrations, various kinds of tongues (1 Corinthians 12:28, nasb). And he gave the apostles, the prophets, the evangelists, the shepherds and teachers, to equip the saints for the work of ministry, for building up the body of Christ (Ephesians 4:11-12, esv). While it might be overreaching to draw hard and fast lines, it is possible that Ephesians 4:11 may be describing a logical progression: apostles and prophets laid the orthodox foundation for the church (cf. Ephesians 2:20, 3:4–5); then evangelists proclaimed the gospel, gaining new beachheads of faith, establishing Christian communities; finally, shepherd-teachers—brought that group to maturity through teaching them to obey the Word of God. Another possible understanding of this verse could be called the “cord of three strands” view—that the evangelist, shepherd and teacher provide three leadership emphases that are all continuously needed and therefore present in the ongoing life of the church. The teaching in the early church included not only those who were recognized teachers, but most likely other Christians with the ability to teach. With this background in mind, we can understand better the next passage from James 3:1, “Let not many of you become teachers, my brethren, knowing that as such we will incur a stricter judgment” (nasb). In the early decades of the church, it would seem there were no prescribed requirements or ordination processes for appointing leaders other than elders and deacons. But false prophets also arose among the people, just as there will also be false teachers among you, who will secretly introduce destructive heresies, even denying the Master who bought them, bringing swift destruction upon themselves (2 Peter 2:1, nasb). Obviously, the church looked to teachers for instruction, but these teachers were more motivated by their own agendas than by personal integrity, righteousness and faithfulness to the Word of God. In the post-apostolic literature there are few references to the office or function of didáskalos. Didache 10, 11 says that teachers should live what they teach. Another early church document The Martyrdom of Polycarp refers to Polycarp as a didáskalos episēmos (“famous teacher”). The mention of “evangelist” fades almost immediately in the writings of the early church fathers and that of “teacher” lingers for a time but is embodied more and more in the function of the elder. With the passing of the apostolic generation, it is the government of local congregations by a council of elders and deacons that takes precedence and becomes the most normative structure in the churches. It is interesting to note two of the ways in which a more formal role of “teacher” was retained in later Christianity. In the Catholic Church, the “Catechist” (cf. Galatians 6:6) had the role of preparing soon-to-be-Christians (“catechumens”) for baptism by grounding them in the fundamentals of Christian belief and practice. In Protestantism, Calvin made the case from Ephesians 4:11 for a “teacher” role that is distinct from that of the “pastor,” but his vision for this role (the “doctors” of the church, from the French word for the didaskalos, “docteur”) was primarily for the equipping of professional clergy or ministers. The model of seminaries for the instruction of ministers follows from this understanding. The teacher role in the 19th and 20th centuries developed primarily in the in a collegiate setting and through publications. In the Mainline Church of Christ in the United States, Christian colleges developed as a preferred alternative to sending children to state universities and colleges; thus the leading teachers in these churches were college professors. The Bible Chair Movement was another acceptable alternative developed for those who chose to attend state schools. The Bible Chairs provided biblical education for credit offered off campus (ideally in a facility adjacent to the university campus) by a teacher with the necessary academic credentials. While there was a biblical education component, it was not designed to train ministers. When those in the Mainline group desired higher education in theology, their only choice was to attend non-Church of Christ schools. In time, graduate schools of religion were developed among Mainline Church related colleges. Most of the professors gained their higher education in denominational schools, which in the early days was their only alternative, but in time became the preferred approach in order to avoid “inbreeding.” This factor carried both benefits and risks theologically. The philosophy of the schools of preaching was very practical: take those who wanted to enter the ministry, regardless of age or previous education, and teach them in-depth biblical and Bible-related courses in a very intense setting. The practical emphases on evangelist training and church building were more pronounced in these schools than was normally the case in the university setting. We have lessons to learn from the positive and negative in all of these approaches to training full-time ministry leaders. In the 1960s, the Crossroads movement established a strong emphasis on the teaching ministry for the entire congregation. In time the teaching ministry developed an avid focus on training leaders in different roles, not just those who would eventually go into the full-time staff ministry (although the majority of younger disciples had this dream). Some of those planning on going into the ministry were advised to get more formal training and a number of them did earn graduate degrees. However, disenchantment with some of the results of this approach led to the establishment of a ministry training school at Crossroads. In the early days of the Boston church, its most influential leaders did not feel classroom training was needed, insisting that we “train like Jesus trained” by walking with our disciples in practical ministry. This approach downplayed the role of the teaching ministry. It also ignored the fact that Jesus, whose primary designation was that of Teacher, taught his disciples much Bible, not just practical ministry. Obviously, both approaches are needed and will always be needed. The truth was that ministers weren’t taught enough in-depth Bible in most churches, and the preaching usually reflected that. At the same time, without question, the teaching role was undervalued, although with the appointment of several “kingdom teachers” in the late 1990s the role of teacher gained some traction. Beginning in 2003, the evangelists were suddenly on the hottest burner of criticism (though we all were on the stove), and various unrealistic expectations emerged regarding teachers. One such idea was that virtually all of the problems in our movement were due to a lack of deeper Bible knowledge. In the minds of some people, teachers were the solution. It was one of many pendulum swings among us, which is to be expected in times of upheaval, but it was a simplistic and incomplete answer to what was needed–one overreaction among many. Long before 2003, Douglas Jacoby had led the way among our teachers in offering more biblical training from an academic perspective. His earlier efforts in ministry training started with him teaching courses to the ministry staff in the Commonwealth World Sector (as it was called at the time). Since it was so large, based in many different countries, his next efforts were to begin raising up other teachers in various parts of this world sector to teach the ministry staff in their part of the world. In this phase, the teachers would gather several times a year and be given an overview of what they were then to teach in their assigned home settings. During this phase, ministry people from other world sectors began asking to attend, since there were no opportunities within their own world sectors for more formal training. Ultimately, these early efforts led to the International Teachers Seminar, and subsequently a Biblical Study Tour with broader appeal. The curriculum of the MTP (Ministry Teaching Program) consisted of eight courses, with advance reading assignments and final exams, leading to a certificate of graduation. Douglas has now developed the MTP into AIM (Athens Institute of Ministry), an advanced version of the older program, with an online component and many additional elements. Other teachers imitated the MTP approach. In Boston, the New England School of Ministry was begun by Gordon Ferguson, also with an eight-course curriculum. This program was expanded to include Continental Europe. 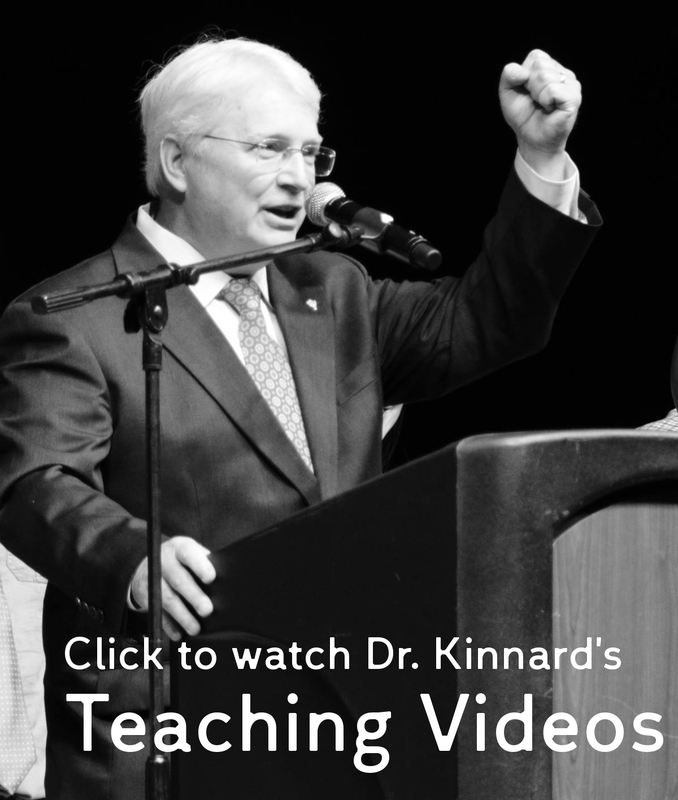 In New York, Steve Kinnard started the New York School of International Missions. Other programs were offered in different locations, and all were very similar to MTP. At this time, several teaching programs exist in our family of churches, such as: the Athens Institute of Ministry (directed by Douglas Jacoby), the Asia-Pacific Leadership Academy (directed by Gordon Ferguson), the Chicago Minister Development Academy (directed by Steve Staten), the Rocky Mountain School of Ministry and Theology (directed by Glenn Giles), the Pacific School of Ministry (directed by Reese Neyland), the Ezra Project Foundation (directed by Arturo Elizarrarás), the Commonwealth Academy (directed by Ed Anton) and others. In addition to the more formal training of staff ministry leaders, non-staff leaders have also benefitted from similar training, and a number non-staff leaders have served in congregational teaching roles. At the present stage of our history, it has become obvious that we need to offer more systematic training to those who serve in a variety of leadership roles, whether on the ministry staff or not. It should be equally obvious that such training should result in more and more brothers and sisters being equipped to serve in the teacher role. In the past, most of our teaching efforts were aimed at training leaders. In the future, these efforts must be aimed at training all disciples, if the second part of the Great Commission is to be taken seriously. For this reason, the Teacher Service Team has a focus on both ministry training and congregational training. In this historical section, we have by design focused more on the teacher’s role in ministry training. The Teachers Service Team has been asked to develop better means of providing leadership training and to recommend a unified curriculum for staff training, which we have now done. However, it should be mentioned that congregational training at the membership level has received some emphasis among us historically and we want to encourage much more of such training, and to help it become more thorough and systematic. In the past, biblical training of church members helped to prepare each member to share the Gospel with non-Christians effectively. Additionally, “Teaching Days” were, and are, a part of the congregational diet of teaching in many churches. Certainly such concentrated teaching formats do help church members develop more in-depth knowledge of the Bible and Bible-related subjects. A relatively small number of congregations have offered additional classes on a regular basis, typically on Sunday mornings before services much like Sunday School Classes for adults. Most of the preaching in our pulpits has been focused on motivation, and the mindset behind most of this preaching has led to delivering topical lessons. Topical sermons are simply not as effective at increasing Bible knowledge as are expository sermons. It is not in our favor that we have felt that preaching our good ideas with a few Scriptures thrown in was more effective at motivating members than actually focusing more on the text of the Bible itself. Properly done, expository sermons provide increased Bible knowledge and can be highly motivating. Hopefully, our renewed emphasis on ministry training will result in preparing those in the pulpit to use the Bible in more effective ways—ways that deepen Bible knowledge and motivate at the same time. However, we may choose to accomplish membership training, we simply must raise the biblical knowledge level of our membership. Ministry training and membership training should be inseparably joined in a number of ways, and to that end the Teachers Service Team is dedicated. While there is no single list of qualifications in the Bible for one who would be recognized in the church as a teacher, this role is among the key leadership roles or gifts mentioned in Scripture (Acts 13, Romans 12, 1 Corinthians 12 and Ephesians 4). As we consider recognizing someone and commending them to the church as a teacher, it seems good to consider three areas: (1) Scriptures that describe the general qualities required for any leadership capacity, (2) Scriptures that specifically or indirectly address teachers or would-be teachers and (3) the special qualities that common sense and experience tell us that teaching demands. Like an elder or any church leader, a teacher must be temperate, self-controlled, respectable, hospitable, not given to drunkenness, not violent but gentle, not quarrelsome, not a lover of money, not overbearing, not quick-tempered, not pursuing dishonest gain, upright, holy and disciplined and not a recent convert (1 Timothy 3; Titus 1). Like a deacon one in this role must keep hold of the deep truths of the faith with a clear conscience (1 Timothy 3). To put it another way, the teacher must be a spiritually-minded person. He should bear evidence of a life that is “full of faith and the Holy Spirit” (Acts 6:5). His relationship with God must be real, reflecting the spirit we see in this statement: “Yet I am not ashamed, because I know whom I have believed, and am convinced that he is able to guard what I have entrusted to him for that day” (2 Timothy 1:12). He should have integrity, exhibiting the moral and character qualities that are primary for one who would teach others the Word of God. Every catalogue of spiritual gifts in Paul’s writings (Romans 12, 1 Corinthians 12, Ephesians 4) is couched in an appeal for humility, unity and grace. The person must be one who models humility, believes in teamwork, strives for unity and shows grace in relationships with others. Those who are not open to input and have a “go-it-alone” or rogue mentality are disqualified. In some way these men wanted to be teachers in the church. While they may have not understood certain biblical truths, vis-à-vis the law, their biggest problem was that they had wandered away from a pure heart, a good conscience and sincere faith and therefore could not show love, the essential Jesus quality. It is clear that a teacher must have the right motivation, exalting the word of God rather than self. A teacher errs not only when his facts are wrong, but when his heart is wrong. If he does not demonstrate love that comes from a pure heart and sincere faith, he has missed the whole point (1 Corinthians 13:2). All leadership roles bring their own temptations. The man who studies more deeply and reads more widely may be tempted to have pride in his learning or to look down on others not as well-versed as he is. One is qualified to teach only when he wrestles with this temptation to be prideful and overcomes. Combining the insights of 1 Timothy 1 and 1 Corinthians 8 with that found in Hebrews 3:12-13, it seems clear that a teacher must be one who seeks out relationships in which he can walk in the light, be challenged about his own sin and pride and keep his heart pure before God and his brothers. An intelligent teacher disconnected from his brothers is a dangerous teacher. One of the qualifications for an elder clearly applies to the teacher. 1 Timothy 3:2 says “able to teach.” While this need not be an elder’s strongest quality, it should be at the top for a teacher. A teacher must a good communicator. A love of study does not qualify one to teach, though one can hardly teach without that. An ability to communicate knowledge effectively is required. A person can learn or know something without necessarily being able to cause others to learn it. A teacher is someone who can take even difficult concepts and communicate them in a clear and compelling manner. As Paul taught the Roman church with regard to evaluating their gifts, “Don’t cherish exaggerated ideas of yourself or your importance, but try to have a sane estimate of your capabilities by the light of the faith that God has given to you all” (Romans 12:3, Phillips). As with all spiritual gifts, it is the body that confirms the gift. The congregation will ultimately confirm qualified teachers based on the spiritual impact of their teaching. Now a Jew named Apollos, an Alexandrian by birth, an eloquent man, came to Ephesus; and he was mighty in the Scriptures. This man had been instructed in the way of the Lord; and being fervent in spirit, he was speaking and teaching accurately the things concerning Jesus, being acquainted only with the baptism of John. He was mighty in the Scriptures. The NIV says “he had a thorough knowledge of the Scriptures.” We are all still learning, but a teacher must know the Scriptures, the big picture, what the individual books are about, and what the great themes are and how they fit together. The teacher needs to be an educated man in the Word of God. Whether that comes through years of diligent personal study, or training and mentoring by wiser, more experienced, teachers, or through more formal training in a seminary or Bible school setting, it must be coupled with the experience of life and ministry. He was fervent in spirit. A teacher must be a passionate man for the Word of God. “If our gift is preaching, let us preach to the limit of our vision. If it is serving others let us concentrate on our service; if it is teaching let us give all we have to our teaching; and if our gift be the stimulating of the faith of others let us set ourselves to it” (Romans 12:6–8, Phillips). When people heard Jesus teach, they were “amazed at his teaching.” He taught as one with authority. A true teacher isn’t a weak-willed transmitter of information, but someone who brings the Word to life in a meaningful and memorable way. He was teaching accurately the things concerning Jesus. The teacher must have a grasp of all of Scripture but particularly have a focus on the things concerning Jesus. He must be captivated by Jesus. He understands that Jesus proclaimed the Kingdom of God and that his goal was for us to “teach [all disciples] to obey everything [he] commanded” (Matthew 28:20). One cannot know Jesus without knowing the significance of the Cross and Resurrection in the lives of disciples. Additionally, the aforementioned James 3:1 states, “Not many of you should presume to be teachers, my brothers, because you know that we who teach will be judged more strictly.” Taking this warning to heart, those who would teach must not be defensive but always open to more serious scrutiny. All Scripture is God-breathed and is useful for teaching, rebuking, correcting and training in righteousness, so that the man of God may be thoroughly equipped for every good work. In the presence of God and of Christ Jesus, who will judge the living and the dead, and in view of his appearing and his kingdom, I give you this charge: Preach the Word; be prepared in season and out of season; correct, rebuke and encourage—with great patience and careful instruction. They will turn their ears away from the truth and turn aside to myths (2 Timothy 3:16-4:2). The teacher must be one who is courageous and prophetic with no controlling desire for popularity. He must teach what is accurate when he is supported and when he is unsupported. He must be willing to correct and rebuke and call God’s people back to God’s plan and God’s path. He must not be a people-pleaser who avoids the tough issues. When we fashion qualifications from experience and common sense we must exercise care. On the one hand we should not ignore lessons that have been learned from real-life events, but on the other hand we are not able to be as definite about these as we are about those shaped from Scripture. And certainly we should test these to make sure none are in conflict with the principles of the Kingdom life. These should serve as guidelines, not as absolute qualifications. The teacher should lead in learning. The teacher must have a true appetite for learning and a conviction about lifetime learning and continuing education. A university degree is helpful, and advisable. However, we must recognize that some highly motivated and gifted persons may be excellent teachers without advanced credentials. Knowledge of Greek and Hebrew, while not essential, is desirable. At the very least, the teacher should see the value of some knowledge of biblical languages and seek ways to include it his teaching. He must be able to organize his thoughts and put them in writing (Ecclesiastes 12:9-10). Whether writing articles, books, on-line columns, or class outlines, the clear thinker will deliver a clear lesson. Preparation to become a teacher, like training to become an elder or evangelist, involves years of work behind the scenes. However, younger Christians who demonstrate the gift of teaching should be given opportunities to teach in limited and supervised situations. A teacher embraces a shepherding responsibility toward those whom he teaches. For example, when he teaches on sensitive subjects, he must be concerned about helping people work through their issues and concerns. A teacher recognizes the distinction between God’s wisdom and the world’s “wisdom” (1 Corinthians 1-3; Colossians 2:22) and prevents others from being carried away by fine-sounding arguments. A teacher is not a doctrinal innovator. He is first and foremost a steward of the Word. He takes seriously the command to “stand firm and hold to the traditions which you were taught” (2 Thessalonians 2:15, nasb). A teacher needs to be practical, helping his hearers make meaningful applications about what God wants for their lives. A teacher should be actively involved in church building, working with other leaders in his local ministry to equip the saints. Using the general guidelines for biblical leaders, specific texts addressed to teachers and the application of common sense that does not conflict with Scripture, we are able to develop a picture of the kind of person we should recognize as a teacher. Emphasis, of course, should be placed on the first two while not ignoring the third. We recommend that local congregations use the above criteria in the recognition of qualified teachers. The vetting process of teachers will be described in the next section of the paper. The essence of vetting teachers is to evaluate and examine a person’s suitability for the role in light of the above qualifications. The vetting process is primarily the responsibility of the local congregation. We believe that it is in the best interests of prospective teachers to participate in some form of vetting process because they will benefit from teaching opportunities and peer review. The Teachers Service Team recommends that a local congregation seek advice from other congregations with recognized teachers in this process. As with the process of appointing an evangelist or elder, there is likely to be both a range of flexibility and variability from congregation to congregation with a general similarity of the basic process of identifying, grooming, training, and recognizing teachers. We are proposing that in the spirit of Acts 13:1-3 local congregations make known their recognition of teachers to our fellowship of churches by relevant media. We recognize that there are times when distress or conflict may result from teaching for various reasons. There are at least five possible reasons that these types of tensions can occur. The prophetic role, the right thing—A teacher has acted responsibly, taught accurately and in step with his gifts but has touched a nerve by correcting false views. Unawareness, sensitivity issue—A teacher has a different (but perhaps legitimate) point of view than his audience. Both viewpoints may have some validity, and both parties may learn from an interchange of ideas. Mistake, poor judgment—A teacher has taught accurately but was unwise or careless in the manner of presentation. The right answer in the wrong manner is still the wrong answer. Intemperance, character—A teacher has overstepped his understanding and is not mature or experienced enough to appropriately convey the context and layers of a complex issue. Vanity, sin—A teacher has pridefully taught an incorrect or correct view based on one of his pet theories. Occasional conflicts are a sign of health if they are well managed and provide an opportunity for learning. More serious problems occur when a teacher or a congregation has blind spots or when cultural differences exist between a teacher and his audience. To reaffirm the comments made at the beginning of this paper, the Teachers Service Team embraces the need for accountability for fellow teachers. We are committed to addressing these issues and are developing a biblically-based accountability model. Dealing with writings becomes more complex because we are dealing with personal views and private websites. For instance, a teacher can openly recommend reading a book that is fraught with errors if it is for the purpose of gaining insight into a position through critical thinking (The Koran, for example). On the other hand, a wise teacher would offer disclaimers and make his own positions clear if he happens to recommend a controversial book. Additionally, he would have advisors look over his websites, papers and other forms of presentations in order to minimize unnecessary stumbling blocks. No teachers should propose a paper on a topic that is in contrast to the current doctrines or practices in our fellowship without peer review. If a teacher promotes a minority view, he can go through a process similar to scientists, researchers and other discoverers. Responsible review processes usually include recognized peer-experts who can spot problems and test theories. When the paper goes through a series of reviews prior to publication, the dissenting outlooks can be presented simultaneously. This process trusts that the stakeholders of our community (church leaders, fellow teachers, mature members of a congregation) will be better equipped to tackle the issue. Certainly this kind of process can apply to relevant topics, such as: creation/evolution, inspiration of Scripture, military involvement and pacifism, role of women, marriage and divorce, baptismal cognizance, etc. A careless document on a sensitive topic can do more harm than good whereas a sensible minority report can more easily overcome institutional resistance and may stimulate healthy dialogue on the issue. There is nothing wrong with such a writing endeavor and great things can be accomplished through responsible and thoughtful writing. This paper has considered the history, the qualifications, and the evaluation of teachers. We pray that in the days ahead God will raise up more men and women who will faithfully serve as teachers within his church. Please pray for your teachers. Let us elders, evangelists and teachers pray the prayer of Paul, “May the God who gives endurance and encouragement give [us] the same attitude of mind toward each other that Christ Jesus had, so that with one mind and one voice [we] may glorify the God and Father of our Lord Jesus Christ” (Romans 15:5-6). Growing up in the South, I saw dozens of Civil War memorials around my hometown and home county. In my family cemetery outside Columbia, Tennessee there is a gravestone of a great, great uncle who fought in the Muary Grays for the the Army of Tennessee. What do we do with these memories and memorials that remind us of America’s Original Sin–Slavery. Perhaps we should find ways to sanctify these standing stones? Perhaps we can allow these monuments to move us toward reconciliation? The following article from Scot McKnight’s blog, “The Jesus Creed,” describes a group in Atlanta who took action toward reconciliation and sanctification recently at a Civil War memorial. Please read the article. 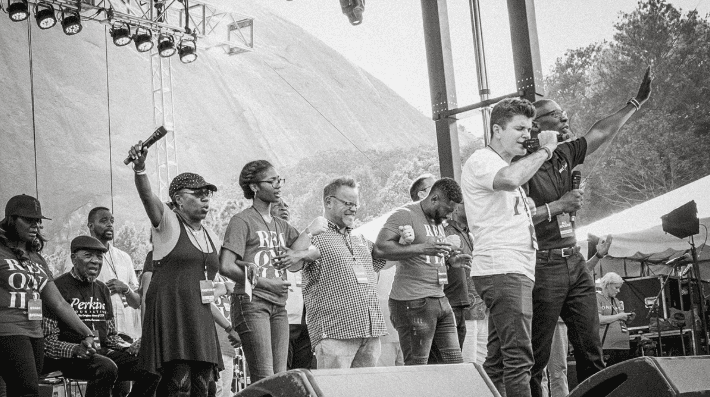 Over the rest of the day, at the base of the mountain, gospel artists performed and local pastors prayed at an assembly that lasted eight hours. Park officials estimated that the entire event attendance drew between 22,000 and 25,000. At the end, the crowd took communion together at the “table of brotherhood,” a nod to Martin Luther King Jr.’s 1963 speech. The day marked the climax of two years of preparation by the OneRace Movement, a group that has brought 560 Atlanta-area pastors together in pursuit of reconciliation and revival. Almost every time we talk with affluent folks about God’s will to end poverty, someone says, “But didn’t Jesus say, ‘The poor will always be with you’?” Many of the people who whip out this verse have grown quite insulated and distant from the poor and feel defensive. I usually gently ask, “Where are the poor? Are the poor among us?” The answer is usually a clear negatory. As we study the Scriptures, we see how many texts we have misread, contextualized, and exegeted to hear what we want to. 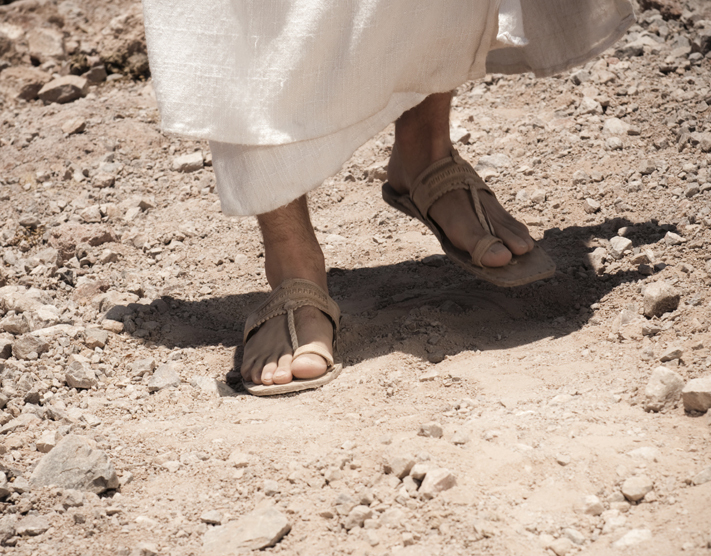 Like this one about the poor being among us, which Jesus says in the home of a leper and after a poor marginalized woman anoints his feet with perfume. The poor were all around him. Far from saying in defeat that we should not worry about the poor, since they will always be among us, Jesus is pointing the church to her true identity—she is to live close to those who suffer. The poor will always be among us, because the empire will always produce poor people, and they will find a home in the church, a citizenship in the kingdom of God, where the “hungry are filled with good things and the rich sent away empty. Let’s ask–Are you always among the poor? Shane Claiborne tells this story in his book The Irresistible Revolution. Several decades ago a group of families were kicked out of an apartment complex in Philadelphia without a place to go. They were left to fend for themselves on the city streets. The families occupied an unused sanctuary in a Catholic cathedral. Many local leaders wanted to oust these families from the abandoned cathedral, but college students joined the families in an attempt to keep the authorities at bay. The families and students won. They stayed in the cathedral until they were able to find homes. My Journey in Lagos: Part Four. Our sister church in Lagos graciously invited me to attend the appointment of three teachers to their ministry on Sunday the 19th of August. The new teachers are Fred George, Emmanuel Emeh, and Gilbert Kimeng. I’ve been training, mentoring, and working with these brothers over the last several years. It’s been a thrill to work with them. These three brothers will be the first to be appointed to the role of teacher on the continent of Africa by our movement of churches. So, this is quite a historic occasion, and I’m blessed to be part of this event. I want to personally thank Dr. Douglas Jacoby for his work in West Africa. Douglas initiated the first Ministry Training Program which helped equip Fred, Emmanuel, and Gilbert to rise up and become teachers. Also, thanks to Joey Harris and other teachers who taught in the training program. I also want to thank the Rocky Mountain School Of Ministry and Theology for their work in training ministry leaders in our churches. All three of these teachers have taken courses at the RMSMT, and two of them are pursing degrees there. The RMSMT specializes in helping students in developing countries work toward advanced degrees in theology. Also, a big thanks to the Beam Fund for sponsoring a program that allowed me to focus on training and mentoring potential teachers in West Africa, French West Africa, and East Africa. The appointment/recognition of Fred, Emmanuel, and Gilbert is the direct result of their investment in the teaching ministry. Thanks to the Board of Directors of the Beam Fund for your partnership in this endeavor. Also, a big thanks to Chris and Rolayo Ogbonnaya and to the elders in Lagos for your warm invitation to me to help train and mentor teachers in West Africa. Your partnership has meant much to me over the years. My time spent in Africa training teachers has been one of the most satisfying tasks of my life. I appreciate you allowing me to use my gifts to help the disciples in Africa. God bless all of you. I’m grateful for every moment I get to spend in Africa. The warmth and generosity of the disciples in Lagos is overwhelming. Thanks you for your love for me and my family over the years. Please pray for the church in Lagos. Pray for the future ministry leaders in the West Africa School Of Missions. And pray for Fred, Emmanuel, and Gilbert, newly appointed teachers in Lagos. God bless all the churches across the continent of Africa. Amen.